Our spiritual lives can be boiled down to a simple set of principles. Beginning with the individual and progressing up through family, small groups, organizations, community, and then on to the national level and even global. I believe in my Heart that this is the end that Universal Consciousness intends. To start the intentioned practice of these Principles will make the world a better place for everyone. In the nearly 35 years that I have been searching for the TRUTH, this verse really boils it down to where the Fundamental Principles have brought me. In my search the Spirit guided me to see that there are Fundamental Principles for humans. Just like there are laws of the universe that have been with us from the beginning. Whether your beginning is Big Bang or Creation. Like the laws of gravity, The Fundamental Principles, have been in place with the existence of the universe. These Principles must be learned and then cultivated at the individual level. Every fully functioning human being is capable of learning, embracing, and executing the Principles. The power potential resides within each one of us from birth and we CHOOSE whether to increase the potential, or not. IT IS OUR CONSCIOUS CHOICE! What is skillfully grasped will not slip away. Thus it is honored for generations. 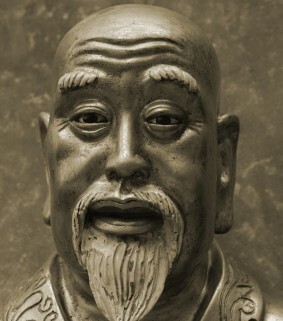 Lao Tzu, and many other philosopher teachers, express a concept that within the Universal Consciousness there resides a power potential when one is in the right frame of mind. In Tao Te Ching: Verse 54, Lao Tzu is expressing that this potential for power begins in the individual and then rises up through the social order to world – which makes the power Universal for all humans. How do we get to the “right frame of mind” and can average citizens find their way to increase this power potential? I believe the answer is an emphatic YES—we can and we do. Many times without knowing it, but sometimes intentionally. The Fundamental Principles will help you understand that the system brought into being by a perfect Creator is not as difficult as some want you to believe. Understanding the Fundamental Principles will help guide you to a more intentional life. Like dieting, there are thousands of pages of theories, and “secrets”, and doctrines, and so on. However, if we eat less and exercise more, we will most likely loose weight—calories in and calories out! But really it boils down to Wisdom, Moderation, and Discipline—three of the five Fundamental Principles. Thank you for sharing your findings and insightful words. I look forward to reading more in the future! Thank you Rebekah. Stay tuned there will be plenty more to come. I am in the process of writing a book on the Fundamental Principles and hope to have it completed by January 2016. This blog site will continue to provide updates about the Fundamentals and the progress of the writing process.